November is the new Noel! 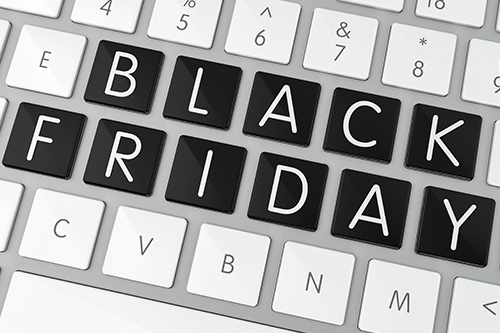 Wunderman Thompson Commerce has developed an uncanny knack for savvy predictions - we were bang on the money for Black Friday in 2015 and 2016. And, in 2017, we projected that online sales during November will surpass December, with UK shoppers spending £20bn online in November, and £7bn spent over the seven days of Black Friday week. Are your operations ready to seize the opportunity? Get optimised for mobile. 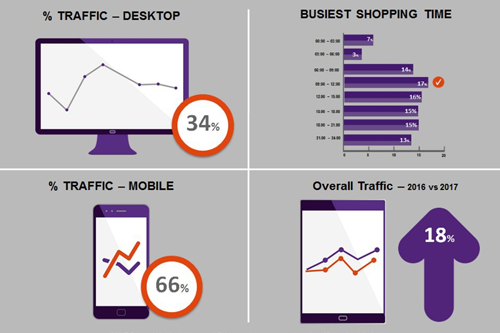 People are now choosing to shop via mobile over desktop. 2016 was the tipping point! Take a quick look at what we saw from our peak operations centre over the week-long Black Friday period (Monday 20th - Monday 27th November 2017). Consumers look set to spend big once again. Our research suggests UK consumers will spend nearly £5 billion in Black Friday 2018, with nearly £2.5 billion in online purchases.